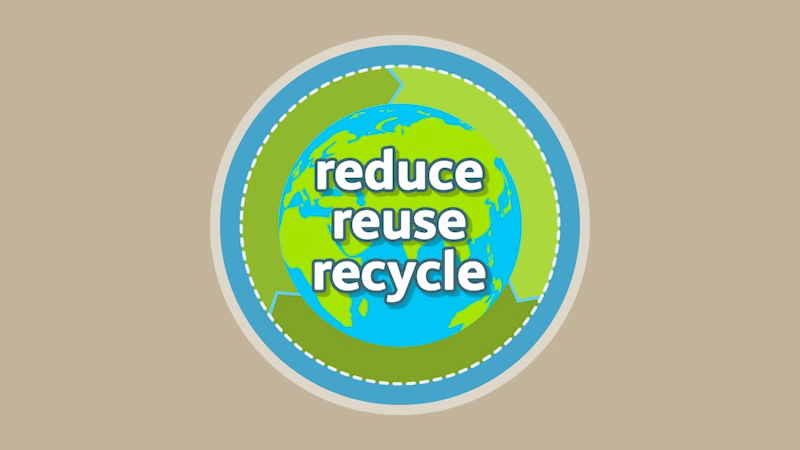 To help our environment we can reduce, reuse and recycle our waste. 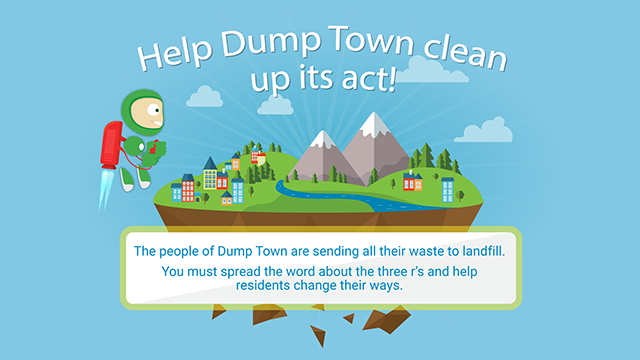 Can you help Dump Town clean up its act using the Three Rs? 1 of 3: Clean Up Dump Town! 2 of 3: Sort it out! 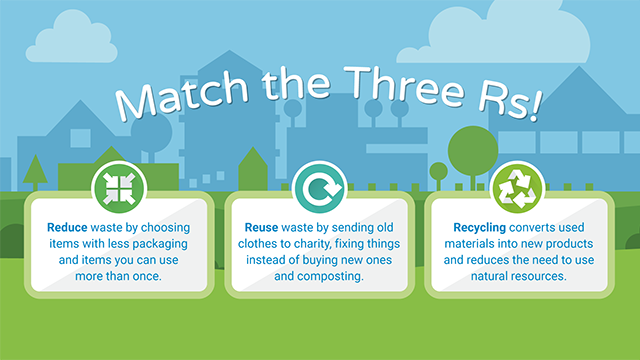 3 of 3: How well do you know your three Rs? 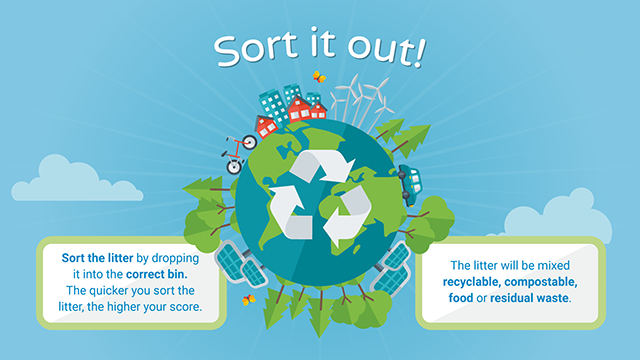 Discover what waste is and what happens to it, how much waste we create as individuals and what we can do to Reduce, Reuse and Recycle. Get started by viewing the Three Rs video.